Dress with cape and headband. Stand in front of the Magic Mirror and transform into the “Fairest of Them All”. 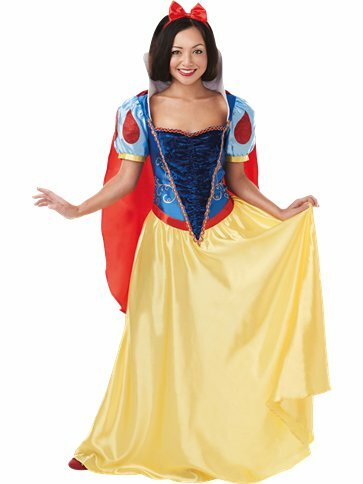 This adorable printed dress and headband captures all of Snow White’s fabled dress, from the high collar, puff sleeves and red trim all the way down to her golden skirt.